Marketing tools that you, your franchisees and their customers will love. Our online tools for franchise and multi-unit marketing fulfill everyone’s needs: corporate marketing gets brand oversight, tracking and data intelligence. Franchisees quickly personalize communications, reach customers and build a fan base. Customers feel connected to the brands they love where it really matters – in their own community. Two unique platforms. One goal. 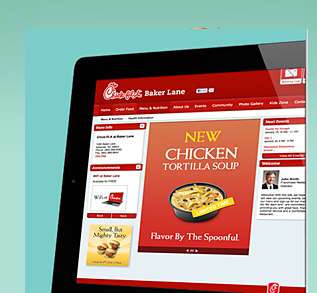 Mobile website, email, ads & customer database – on brand yet locally maintained. 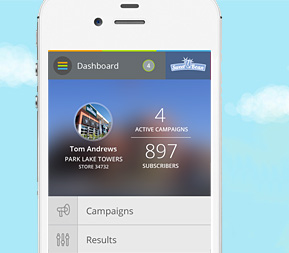 Multi-channel outreach, created centrally and personalized by franchisees. We know that no two companies have the same needs, but franchisors all share a unique set of challenges when it comes to empowering and overseeing franchisees. We’d love to learn more about where your needs lie and see if our solutions are a fit. Just fill out this simple email form or call 404-549-8897. No sales pitch – just some conversation and maybe a product demo. We think it could be good for both of us.